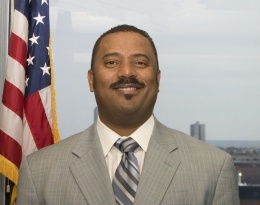 As a former dealer and pit boss on the Boardwalk, Mayor Lorenzo Langford is committed to seeing the city’s casino industry recover, despite his well-publicized disputes with New Jersey Gov. Chris Christie over reforms implemented by the state that the mayor says cut him and other city leaders out of the process. Langford, Atlantic City’s mayor since 2002, was critical of Christie’s reform package that was passed by state lawmakers in 2011 and put authority over the city’s 12 casinos under the state through a newly created tourism district. In an interview last Friday in his seventh-floor City Hall conference room, Langford said the first two years of Christie’s planned five-year program haven’t shown any notable improvements. “The numbers don’t lie,” Langford said, citing gaming revenue statistics that showed declines of 6.9 percent in 2011 and 8 percent in 2012. 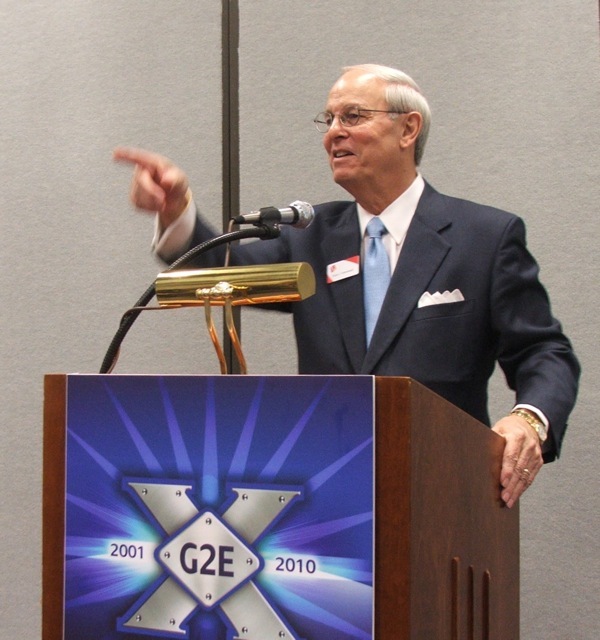 Atlantic City tourism and gaming leaders, however, cite upticks in nongaming areas, such as luxury tax collections, sales taxes and occupied hotel room nights. Putting a 24-hour casino in every home comes with great responsibility. Ensuring a safe, responsible gambling experience should be of paramount importance. Online gambling companies talk incessantly about revenue, but it is everyone’s responsibility–from regulatory bodies to operators, from governments to the citizens themselves–to require that all proper consumer protections and safeguards are in place before online gambling can go live. It is imperative that all stakeholders in online gambling be well versed not just in its benefits but in its pitfalls as well. Perhaps one of the most dramatic illustrations of what happens when a gaming company puts revenue before responsibility is the case of Terrance Watanabe who is reported to have lost most of his personal fortune recklessly gambling in Las Vegas. According to an article in the Wall Street Journal published December 5, 2009, “During a year-long gambling binge at the Caesars Palace and Rio casinos in 2007, Terrance Watanabe managed to lose nearly $127 million. The run is believed to be one of the biggest losing streaks by an individual in Las Vegas history.” While Steve Wynn is reported to have barred Watanabe from his casino for compulsive gambling, Harrah’s Entertainment Inc. welcomed him and derived 5.6% of its Las Vegas gambling revenue from him that year. This case showed such an egregious lack of sound business judgment on the part of Harrah’s, now Caesars Entertainment, that the company was fined $225,000 by New Jersey regulators in March of this year. Gary Thompson, Director of Corporate Communications for Caesars Entertainment said, “Because of the confidential settlement agreement we reached with Watanabe, neither he nor we can make any official comment.” However, he points out that Caesars hired an outside agency to investigate the situation and made procedural changes deemed necessary to prevent recurrences. Approval of Internet gaming bills in Nevada and New Jersey less than a week apart helped fuel investors’ interest in the gaming industry during the last half of February. The largest beneficiary was Caesars Entertainment Corp.
Nevada and New Jersey began implementing online gaming websites directed at customers gambling on computers or mobile devices within state borders. Gov. Brian Sandoval signed Nevada’s interactive gaming bill Feb. 21 after less than one day of debate. Not to be outdone, New Jersey Gov. Chris Christie signed his state’s online gaming bill Tuesday after state lawmakers approved changes suggested by the governor when he vetoed the initial legislation. Caesars owns four of Atlantic City’s 12 casinos. In Las Vegas, Caesars operates 10 casinos on or near the Strip. But the company also owns the popular World Series of Poker. Nothing like a little friendly competition to get legislation on the fast track. 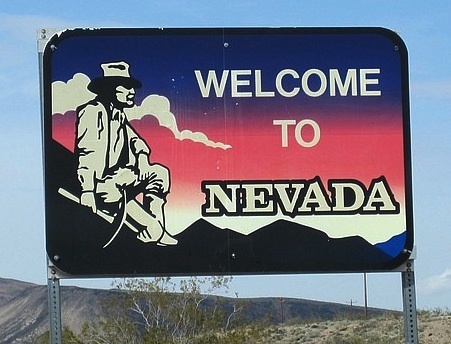 With New Jersey governor Christie getting close to putting his state in the market, Nevada moved quickly yesterday to pass an online gambling bill and get it signed into law putting them ahead in the game. Amazing how fast the system can work when they want it. Opinions vary about the impact of the new law including how soon and how effective the systems will be without opening up their games to other states. Success will depend on the size, diversity, etc of the player base and this law allows Nevada to negotiate with other states to offer internet poker. Even more companies are now lining up in Nevada to get in the game and hopefully other states follow along. Smarter people than myself will be posting here soon with their thoughts. Dusty Schmidt: This Is My Brain, This Is My Brain On Poker – Who knows what any of this CardPlayer post means for all the other players, but Dusty Schmidt thinks online poker is frying his brain and willing to use an old drug commercial catch phrase to get your attention. PokerRoom.com Closing – End of an Era? – They gone. The Poker World Reacts to the Passing of Jerry Buss – This week saw the passing of LA Lakers owner and legendary poker player Jerry Buss. 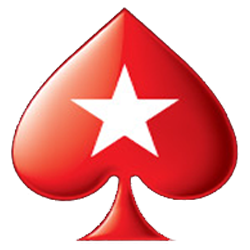 TimTern pulled together a fine list of the statements from around poker. WPT Baden – Day 1B : Sledding and Snowboarding – Kara Scott (and company) on the slopes during WPT Baden. Yes please, and thank you. A bill that would allow Nevada to get into the business of interactive gaming was introduced Wednesday in the Assembly, but it already has run into trouble with Gov. Brian Sandoval. Assembly Bill 114 was referred to the Judiciary Committee. Sandoval asked lawmakers in his State of the State address in January to pass an online gambling bill within 30 days. The governor announced Friday that he is working with Assembly Majority Leader William Horne, D-Las Vegas, to get a bill through the Legislature. Big tournaments finished this weekend all over the planet, from Europe to South Africa and across the US. Michael “The Grinder” Mizrachi was already having pretty nice results over the last 12 months including a nearly $1.5 million victory in the 2012 WSOP Poker Players Championship. Now he can add WSOP Circuit ring winner to his resume after winning the 116-player Main Event at the Emerald Casino in South Africa. Remi Castaignon is the latest EPT Champion for what is apparently his first tournament cash ever with a victory in the EPT Deauville Main Event. €770,000 is a fine way to get his first entry on HendonMob and it looks like he cruised to the win after entering the final table with 40% of the chips in play. The 2013 LAPC continues to chug along with their preliminary events pulling in good numbers for the Savage structured grind. Plenty of big names are making their way to final tables including McLean Karr, Bryan Devonshire, Matt Affleck, and Tyler Patterson who managed a win along with the traditional ugly, 500 pound trophy. Elsewhere in the world, the WPT Seminole Hard Rock will play down to their champion in a few days with Matt Salsberg once again in the running with 36 players remaining. Tweet of the Day – Mizrachi wins and Andrew Felman reminded to remind himself that everyone forgets The Grinder. Perhaps people could start giving the man his props now? I won the Main Event @emeraldpoker@wsoptd @wsopLove you South Africa.Ty every 1.Every 1 Here is Great.Thanks again !! Bally Technologies and Amaya Gaming sign poker content agreement – More reports of Vegas iGaming additions. The race is on and will be interesting to see who comes out ahead. MGM Resorts Looks To Re-Enter New Jersey In Possible Internet Gaming Move – Gov. 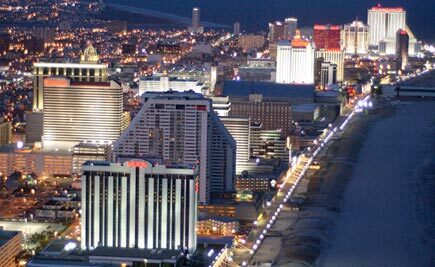 Christie takes positive steps towards online poker in NJ and all of a sudden MGM is again interested in Atlantic City. Zynga’s Shares Rise As Legal US Online Gambling Is Mooted – Any time Forbes or a legitimate publication talks about online gambling, it’s noteworthy. This one is chock full of snark. $100k in 7 Days! Let’s do this! – Daniel Negreanu is using his platform for a very worthy cause. A refreshing change for him. The National Heads-Up Poker Championship final was like a flashback to the olden days* with a practically made-for-TV final match between Phil Hellmuth and Mike Matusow. The two of them advanced to the final after defeating Scott Seiver and Joe “Don’t call me Sebok” Serock. 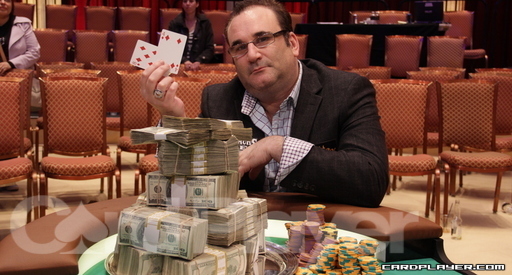 Many questioned the Matusow invitation but he showed some of his old form when he earned his victory. He hit a nice little naked flush draw to defeat the 13-time WSOP champion Hellmuth. This is the 3rd biggest cash of Matusow’s career after his $1,000,000 hits for the 2005 WSOP Main Event final table and Tournament of Champions victory. On the other side of the planet, the Aussie Millions Main Event is underway but not before Andrew Robl beat a small but extremely talented field in the $100,000 Challenge to earn a cool million. The tournament was of the re-entry variety but of the 21 players, Robl was the only one to take advantage of the option and it worked out successfully. 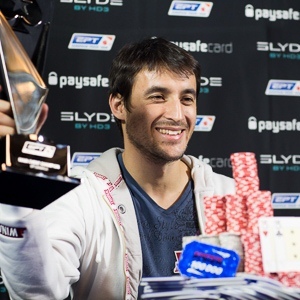 Igor Kurganov (2nd), Masa Kagawa (3rd), and Dan Shak (4th) were the other three who cashed in the even. Tweet of the Day – Two up this time, both from Matusow after his NHUPC win. Poker Players Alliance chief meets with NJ Governor Christie aide in Trenton – John Pappas met with Christie on Tuesday afternoon to make a push for the online gaming bill currently awaiting his decision or indecision. Investor urges IGT to rethink online gaming move – Not everybody with stock in International Gaming Technology is into their direction with online gaming. Someone is getting twitchy. Addiction soars as online gambling hits £2bn mark – Oh no, the sky is falling and there is another article out about the vast sea of gambling addicts. This one over in the U.K. where apparently every dollar spent gambling is by an addict. Mississippi Online Gambling Effort Resurrected – Another giving it another shot to get into the online gaming business, but things don’t look too peachy for the prospect of it happening in Mississippi. 2013 Aussie Millions: Welcome Party – The crack video team at PokerNews caught up with a few stars at the Aussie Millions Welcome Party. The two big festivals on opposite coasts are fully underway with the Borgata Winter Poker Open in absolutely frigid Atlantic City and the LAPC at the stylish Commerce Casino. The Borgata continues to draw great numbers despite less than ideal weather including the first event which nearly doubled it’s $1,000,000 guarantee. 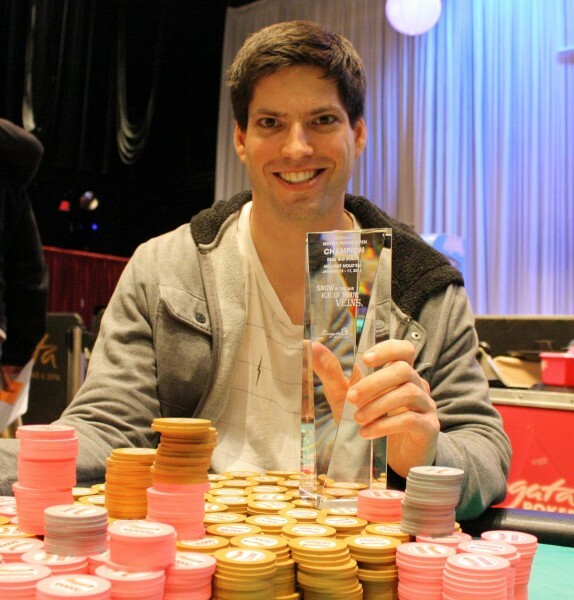 Joseph Stiers won the event to multiply his career earnings by 100. In other news, the National Heads-Up Poker Championship had a sudden change in the field when Daniel “20 years too old to be called Kid Poker” Negreanu withdrew from the tournament. David “Doc” Sands was a top snub on the original list but will now take Negreanu’s spot. The tournament kicks off on January 24th. I am withdrawing from the NBC Heads Up event this weekend. I love and support this eventand will explain why in a video later today. I can confirm that I did take the spot of @realkidpoker.Not sure why he withdrew but I can assure you it was not to give me his seat. Meet the 2013 NHUPC Snubs – Andrew Feldman has his list of the NHUPC snubs which is lead by David “Doc” Sands but includes Tom Marchese who somehow managed to slip my mind. I like the idea of a Brandon Cantu/Jon Aguiar match, The Whine Bowl 2013. Analyzing the NBC National Heads-Up Poker Championship List – PokerNews also presents their (extended) analysis of the NHUPC including quotes from every single writer on staff. They present “Mad Marvin” Rettenmaier as a top snub which is a solid pick. Christie Has Doubts About New Jersey Online Gaming Bill – And now a couple looks at the NJ Online Gambling Bill currently awaiting action (or inaction) by Gov. Chris Christie. First up is Dave Behr writing for Bluff Magazine with his take. Tankers Always Fold; or, Gov. Christie and the NJ Bill – And here is Short-stacked Shamus with his thoughts on the NJ bill. 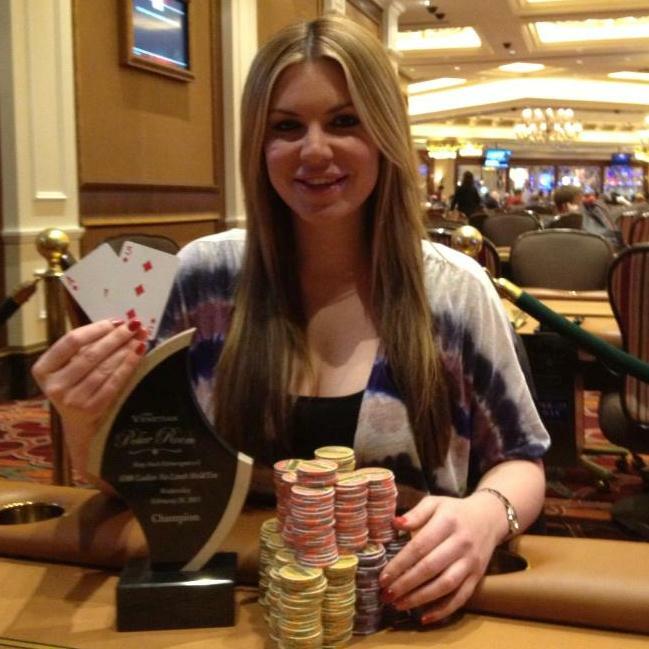 WSOP VIDEO: Cover Story with Kara Scott – The Global Poker Index Awards were presented last night and the only winner worth noting would be Kara Scott for Poker Personality of the Year. So today’s video is from Bluff Magazine this summer during the WSOP. Can PokerStars save the Boardwalk the way Revel hasn't? It can’t get any worse for Atlantic City. Last week’s news that November gaming revenues at Atlantic City’s 12 casinos suffered their worst single-month decline in the New Jersey community’s 34-year history of legalized gaming had to be the low point. Granted, Superstorm Sandy, which hit the region in late October, caused most of Atlantic City’s casinos to stay closed between Oct. 28 and Nov. 5. Infrastructure impairments hindered travel from key feeder markets while residents of the Atlantic City – many of whom are employed in the casinos – were dealing with their own property damages.